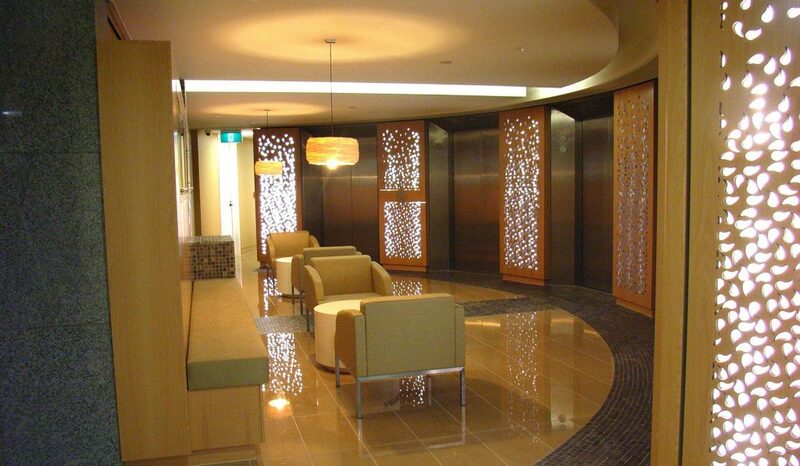 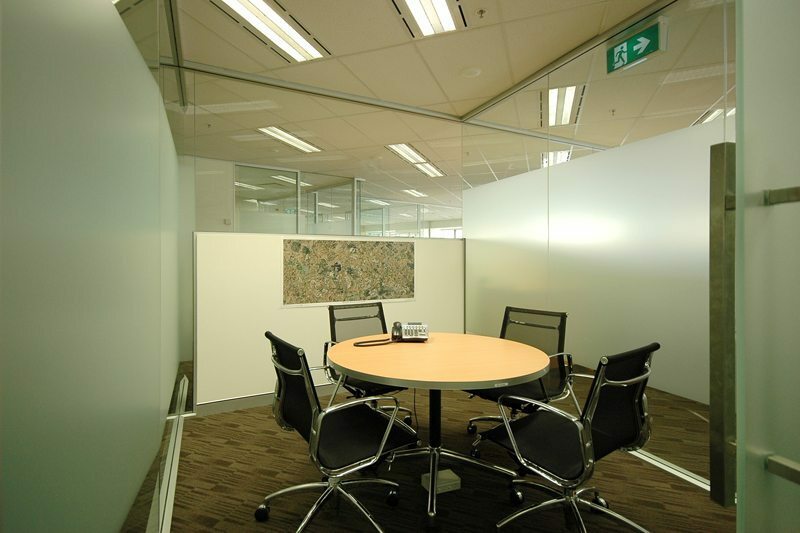 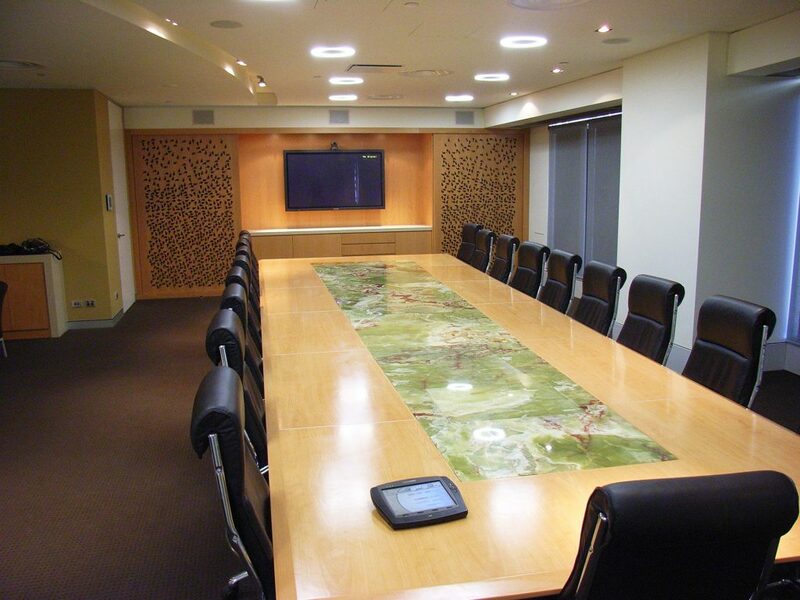 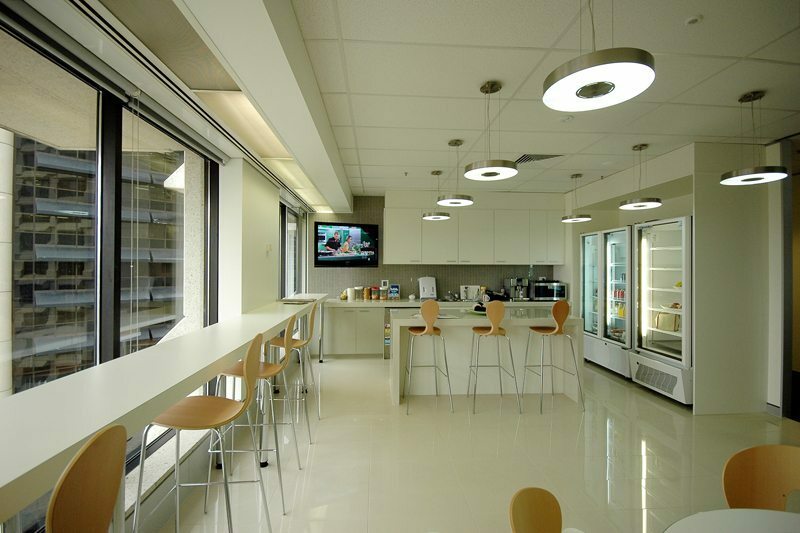 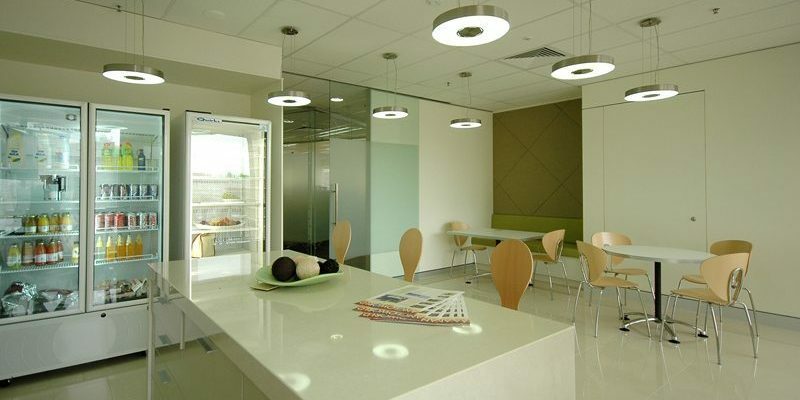 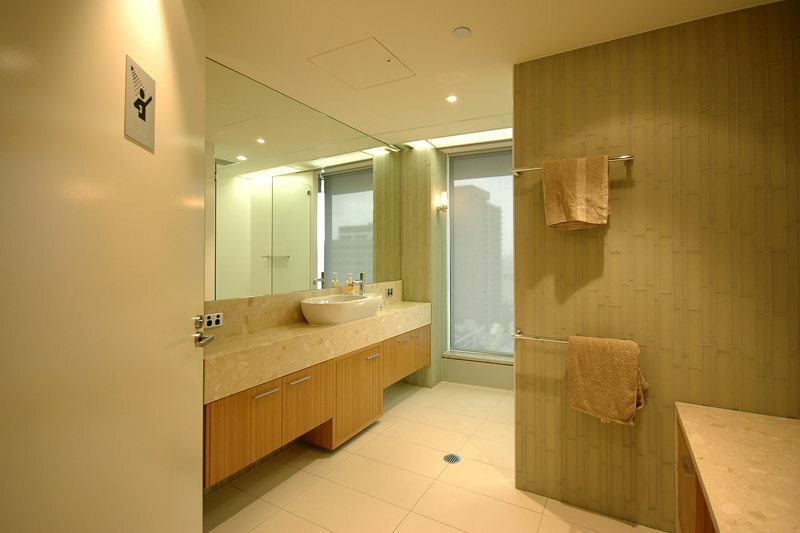 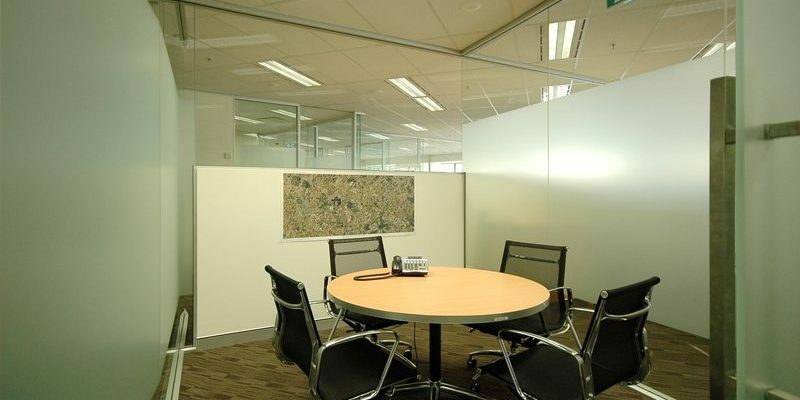 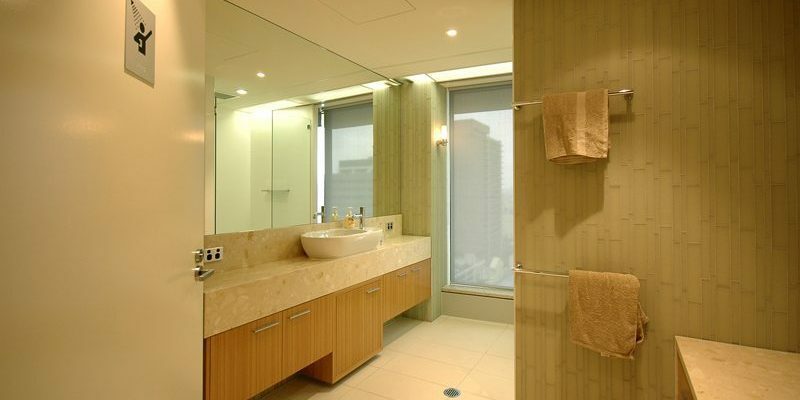 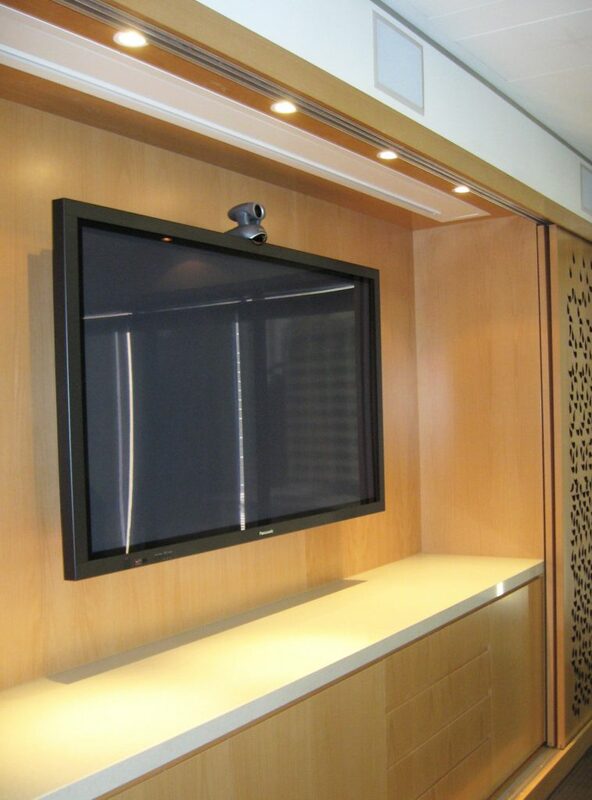 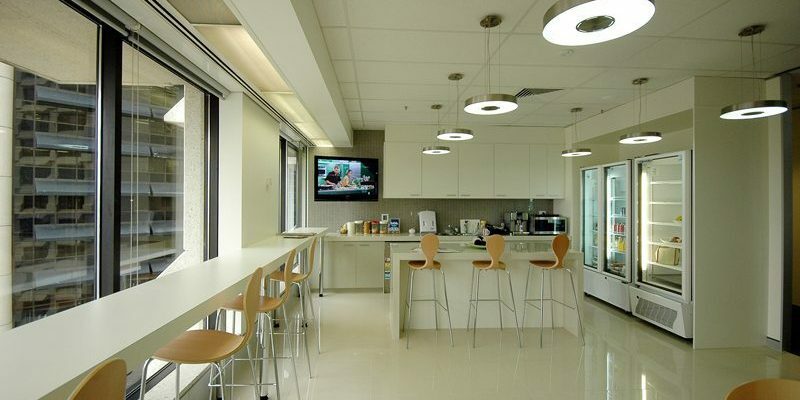 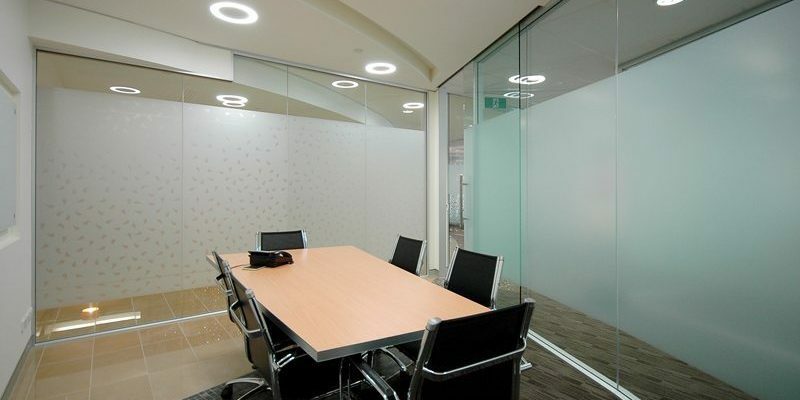 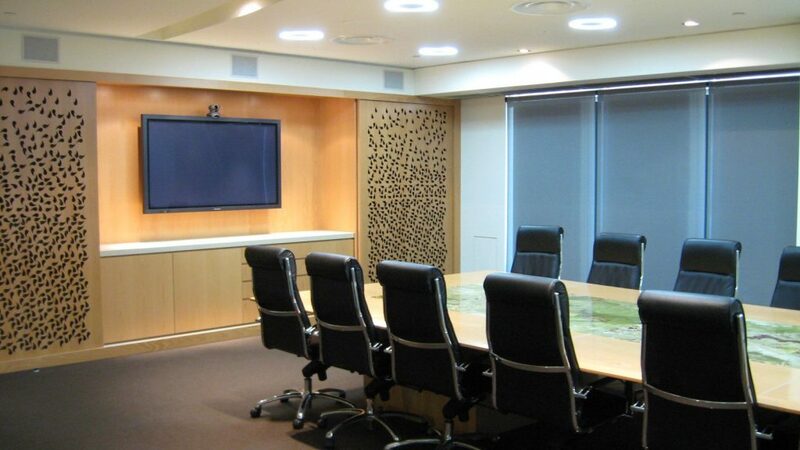 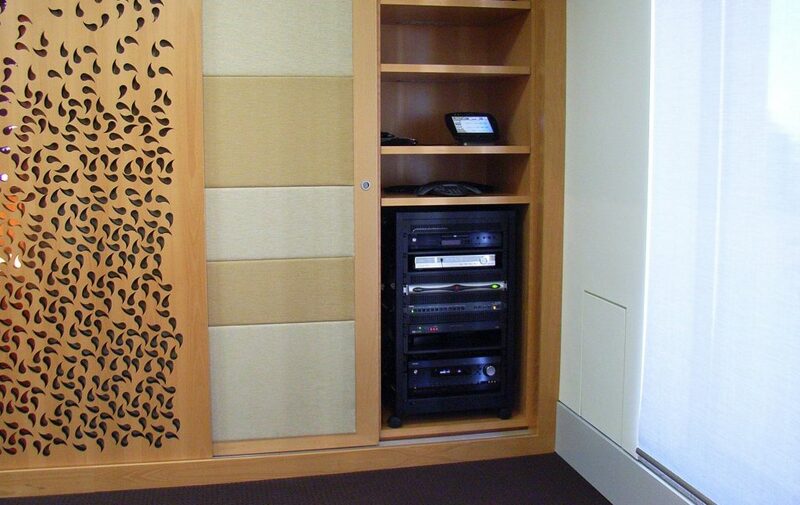 As the client is in the resources sector, videoconferencing was the centre of the design. 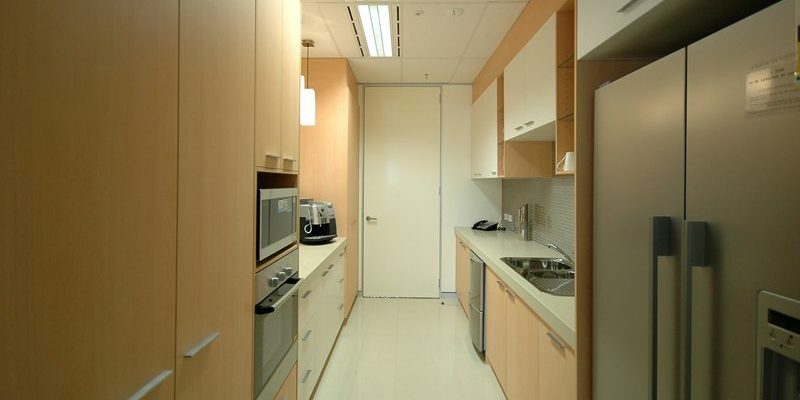 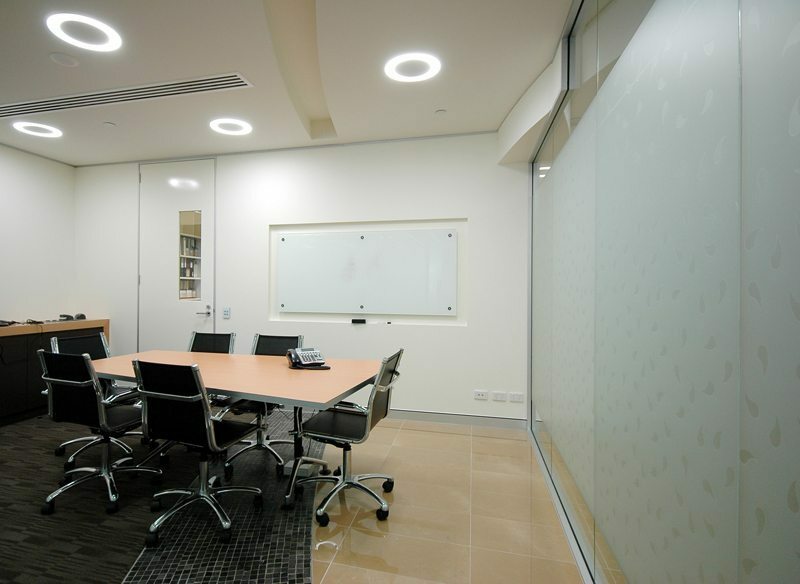 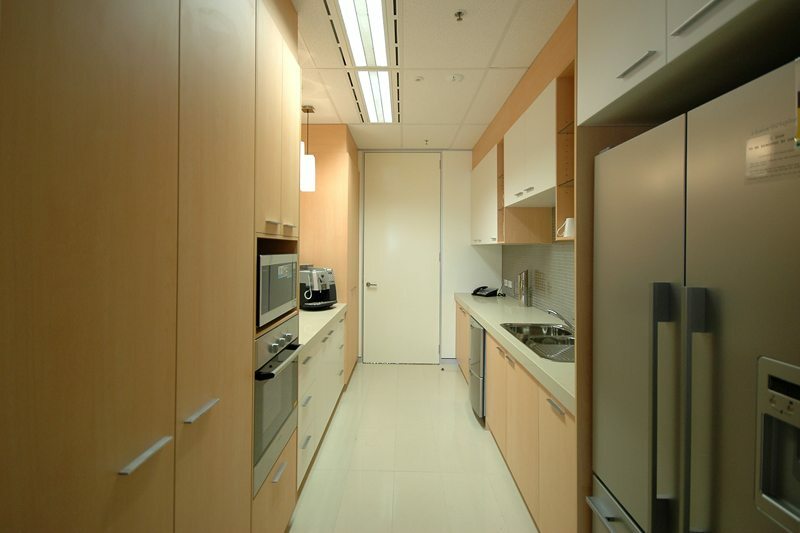 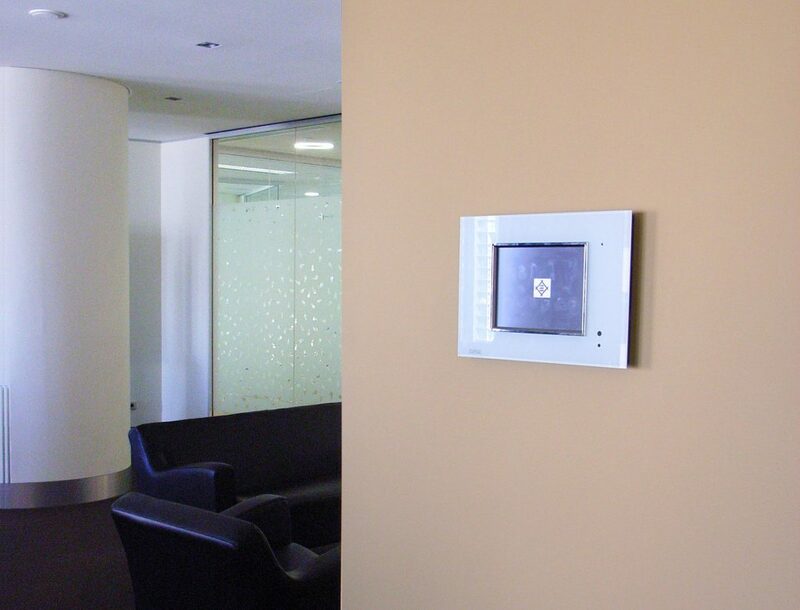 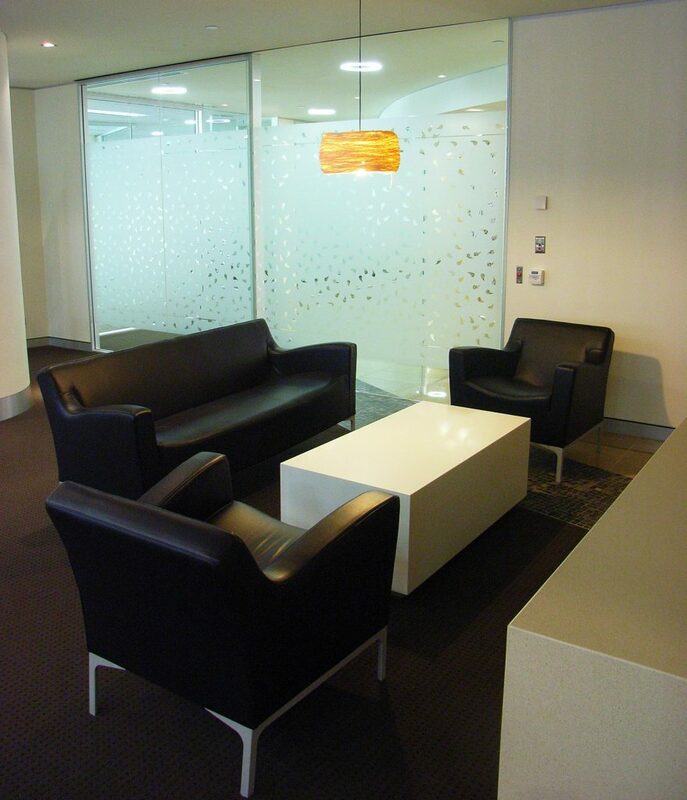 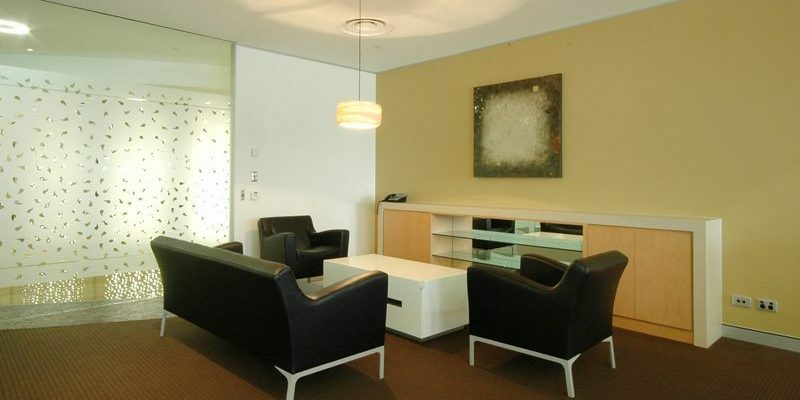 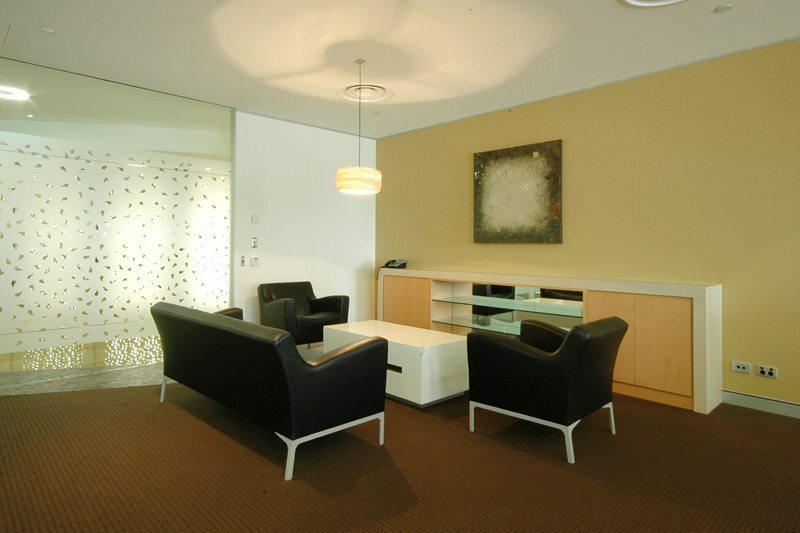 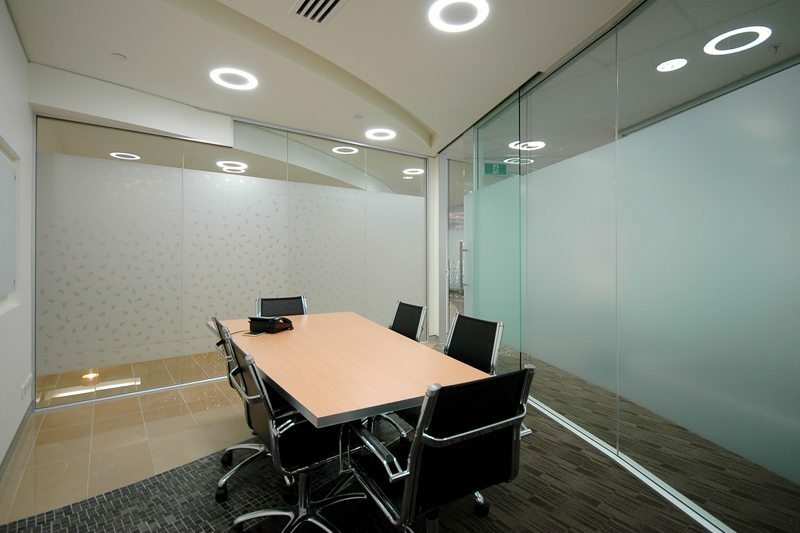 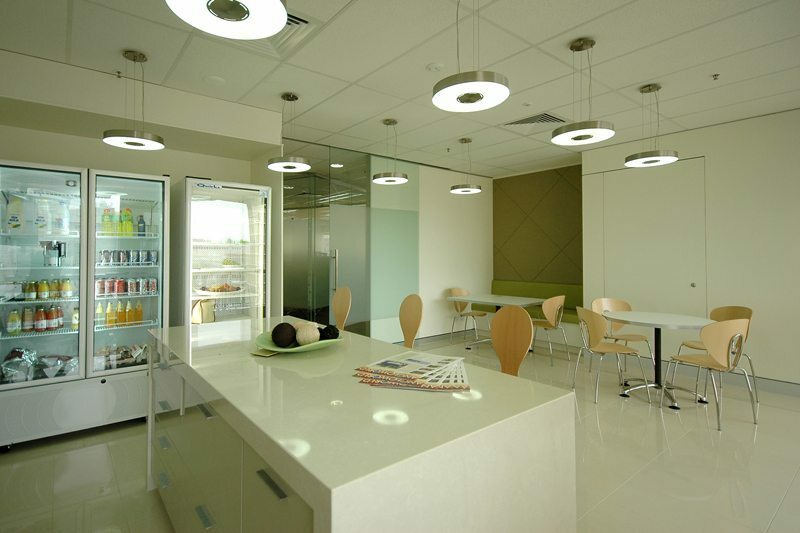 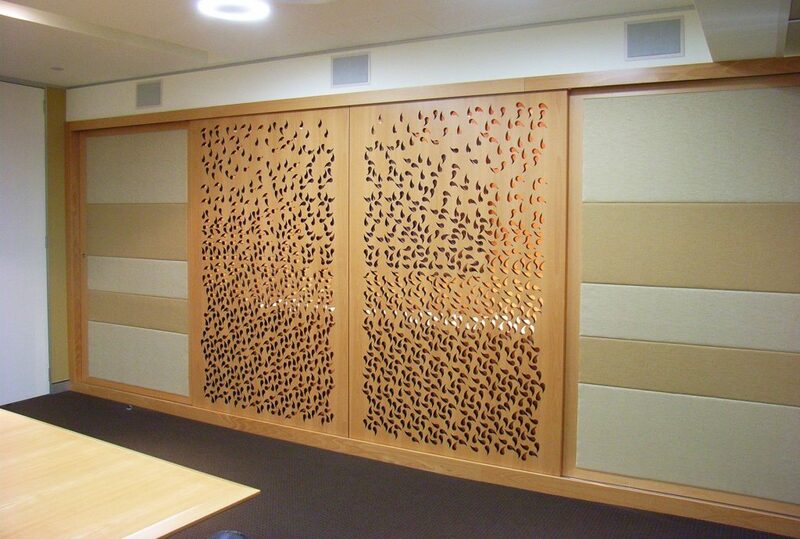 While the boardroom was required to meet a certain aesthetic, functionality was not compromised to meet this goal. 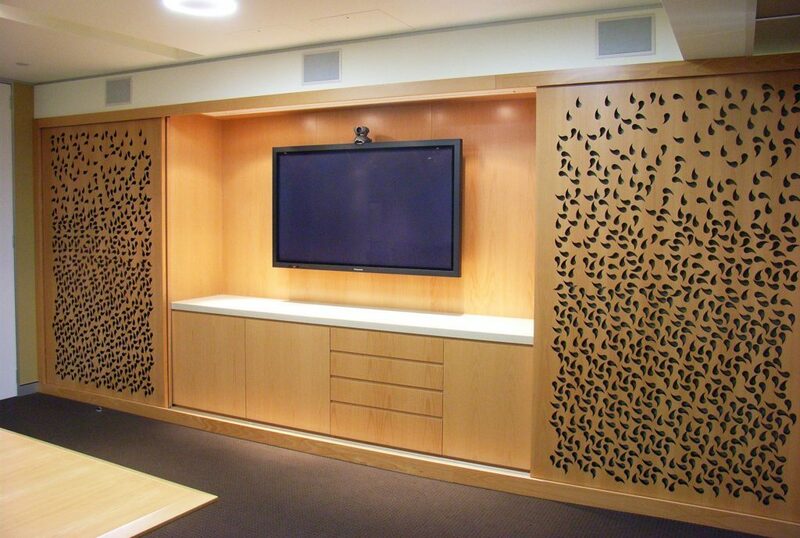 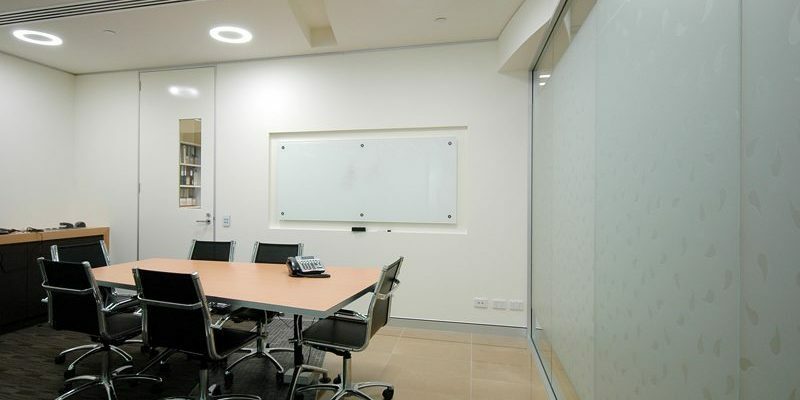 Sliding panels reveal a large LCD panel & Camera for video conferencing with client & stakeholders. 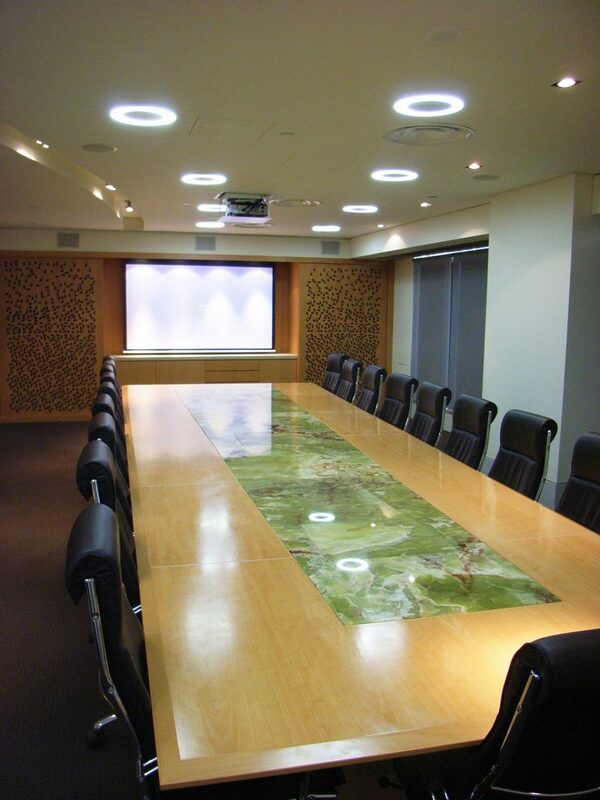 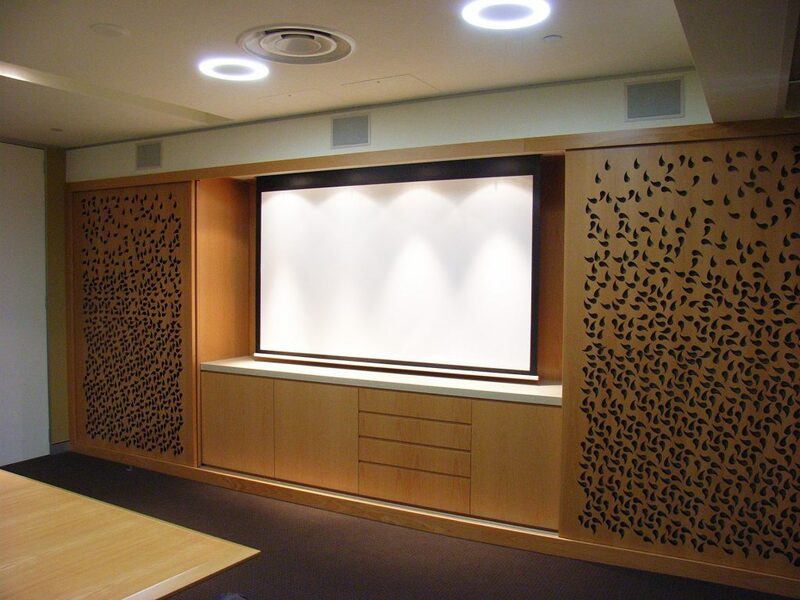 A motorised screen & projector can be lowered for presentations and no less than three motorised sections raise from the marble tabletop to reveal all the connectivity needed for presentations. 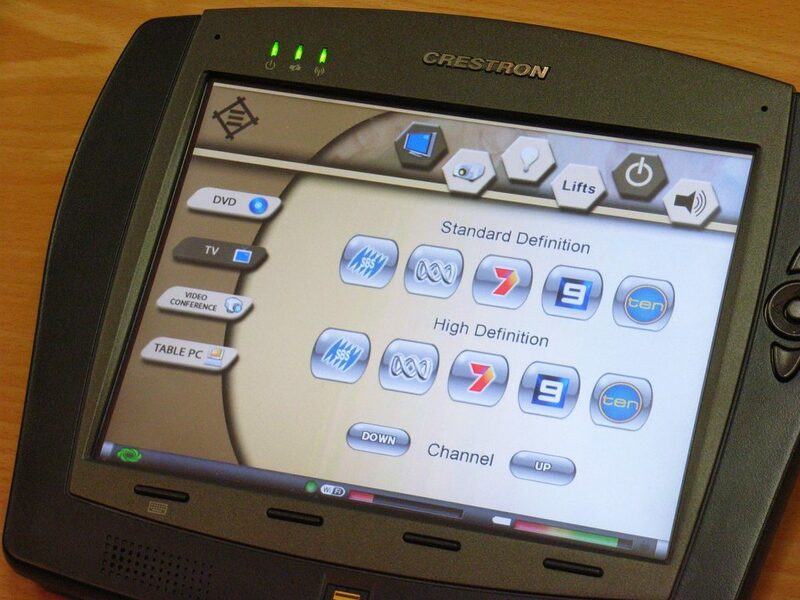 The whole system is controlled via 8″ Crestron touchscreen, including all AV, lighting, blinds, motorised table lifts & projector & screen.